***All homework should be done in pencil (unless it is a special project that should be decorated). Writing should be done by your child. Please make sure your child writes his/her name on everything. Each Monday (Tuesday if there is a Monday holiday) your child will bring home a homework packet and book bag containing four books. The homework packet includes a cover sheet where your child should record their nightly reading book (15min. a night). 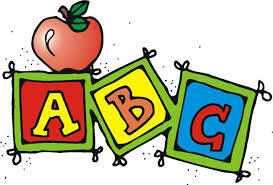 You should initial that your child completed their reading and check off that your child practiced their sight words. The packet also includes the weekly math homework. Only one math page should be done a night (not all at once). The packets and book bags should come back to school the following Monday to be switched out for new books and a new homework packet. *Have your child take a picture walk. Ask questions and make predictions. *Discuss the main idea and details of the story. *Re-tell the story with a beginning, middle, and end. *The author's purpose for writing: to persuade, inform, or entertain. *Discuss the characters, setting, problems & solutions.